Starwars.com has an interesting interview with the great Drew Struzan in which he talks about the many works he has done for the Indiana Jones franchise over the years, including multiple posters, book illustrations, game boxes and more. Even more interesting, the nice Starwars.com fellows sprinkle images of the artwork being talked about throughout the piece. Worth a look. 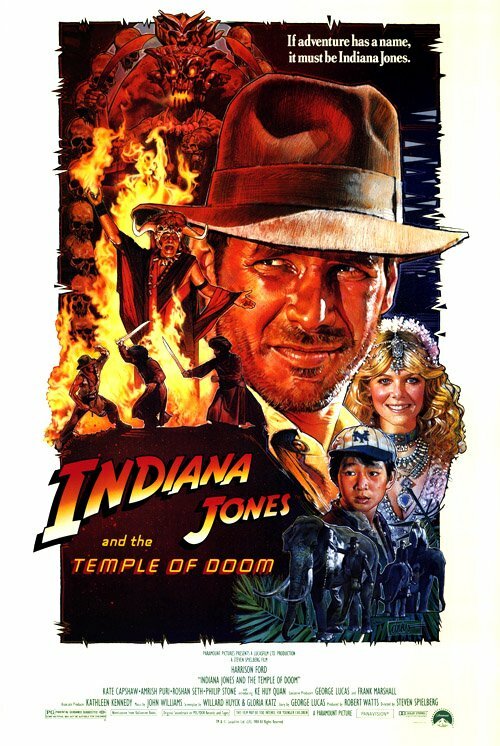 The above poster for Temple of Doom is mentioned by Struzan as his favorite Indy illustration. Too many good ones for me to choose myself, but yeah, it’s pretty great.